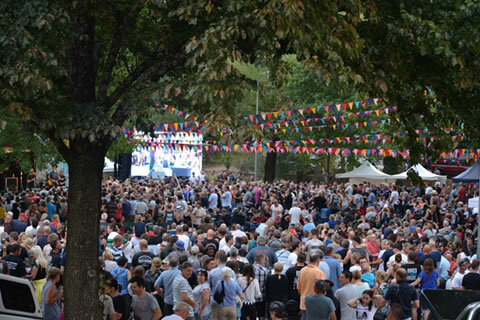 All three days and nights of bikes, cars and music in the beautiful town of Bright, in the amazing setting by the river were just fantastic, as was the crowd and the amount of money raised! 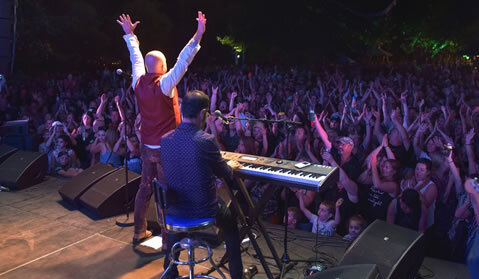 The Bright community and surrounding Alpine Shire made an enormous contribution to the success of the Festival and we would like to acknowledge their help and support…it’s very much appreciated. We have all worked our butts off this year, with the amazing support of our families and friends, and to see that amount of people having such a fantastic time over the three days was very rewarding to all of us...so too was the amount of money raised and now distributed to our chosen charities: $300,000.00 in total to COOPER TREWIN MEMORIAL RESEARCH FOUNDATION (SUDC) $120,000, DEBRA Australia ($120,000) and EB RESEARCH FOUNDATION ($60,000). An amazing effort and one we all very proud of!!! The BDF cheque presentation was held at the St Andrews Hotel last Sunday 30th April and big thanks to the massive crowd who turned up to see the cheques presented ...our boys the SCREAMIN' EAGLES had a ball playing and Robert Trewin from COOPER TREWIN MEMORIAL RESEARCH FOUNDATION (SUDC) and Simone Baird representing DEBRA Australia were on hand to receive the cheques and were extremely grateful. 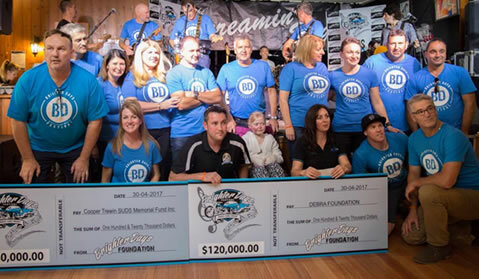 On Saturday the 29th April at the ‘EB Cottonball’ our $60,000 cheque was presented to the EB RESEARCH FOUNDATION, and also the Screamin’ Eagles officially launched their single ‘Brighter Days (keep on walking)’ on ITUNES, with all proceeds from sales of the single going to EB RESEARCH FOUNDATION. To everyone who attended the Festival, bought raffle tickets, made donations, bidded for auction items, entered and attended an event, purchased our Merch and supported us in anyway, we THANKYOU! 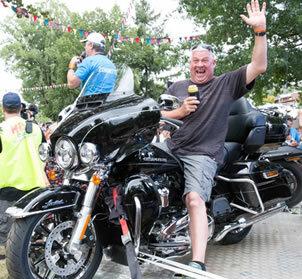 HARLEY DAVIDSON AUSTRALIA, Warren FRASER and NORTHSIDE HARLEY DAVIDSON who donated the 1st Prize the 2017 Ultra limited, 2nd prize Street 500 from H-DTV and 3rd prize via KINCROME AUSTRALIA..Huge thanks! And to all the other sponsors who supported us, hats off to you all! To our raffle winners who were all in attendance CONGRATULATIONS....it was amazing! Our great musical lineup this year saw some huge performances....such a great atmosphere and all our artists had a ball playing. You guys are the best behaved crowd ever!!! Our charter when we started this foundation was to raise money and awareness for our charities...In the past few years we have certainly done that and some! Please check out our website photo library...you can see some great shots of the festival and if you weren't there, you'll see what you missed. Keep your eyes open for our raffle bigger and better in 2018 ..starting soon. And make sure you’re watching the new series of H-DTV on 7mate for the two episodes on Brighter Days Festival 2017, you may see yourself on the telly! Next year, mark our words, will be bigger..... we are staying where we are by the river and can’t wait to do it all again. To everyone who attended and supported the BDF festival...Thanks again..
See you all next year at Brighter Days!